Mary I Students — We Want You! The Limerick Area of the Irish Red Cross has been teaching First Aid to the young members of our community for approximately the past 40 years. We are currently looking for students of Mary Immaculate College to partake in this work. 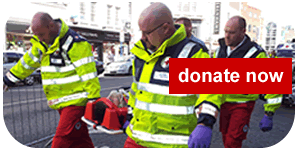 We will provide training to all those who wish to partake and in return you will receive a unique opportunity to teach First Aid on a voluntary basis giving back to the Limerick community in the process. You will be asked to commit 2 hours per week to a local Irish Red Cross Cadet Unit. These Units train on either Friday evenings or Saturdays throughout the academic year only. Practical First Aid Training and Certificate. Community Involvement and Volunteering Opportunity. Mary I President’s Award Compatible Programme. Complete Membership and Garda Vetting process. 2 hour per week throughout the Academic Year only. Complete First Aid Training Required for this Role. Must be an enrolled student of Mary Immaculate College. Must be devoted to maintaining a safe and secure environment for young people. Must be devoted to the development of young people. Must be committed to voluntary service within the Irish Red Cross. Must be committed to personal development and recertification as required. All participant training will take place at our training facility Unit 3, Ashbourne Business Park on the Dock Road which is just around the corner from Mary I. The locations you will be expected to assist instructing in from September 2018 are listed on our leaflet available here. Applications for this programme are now closed. All applicants have been contacted to confirm receipt of application. If you send in an application but did not receive a response please contact youth@limerickredcross.org as soon as possible. For more information please see our leaflet available here. We will be holding a talk on Tuesday April 10th, 13:30 – 13:45 in T116 (Tara Building) about this programme. If you are interested we would strongly recommend you attend. There will be a Q&A session afterwards. If you have a query please email youth@limerickredcross.org or call 061 468 417 between 9am and 1pm.